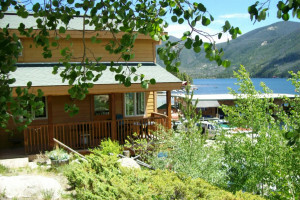 Discover a hand-picked selection of cabin resorts, rentals, and getaways in Estes Park, CO. 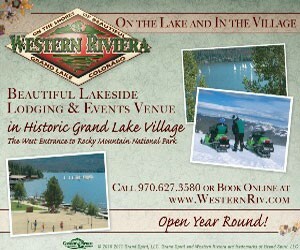 The only lakeside hotel & cabins in Grand Lake, and recently featured on The Travel Channel's Hotel Impossible! Walk to shops & restaurants in the village of Grand Lake! Celebrating 97 years! All-Inclusive dude ranch offering gourmet meals, luxury lodging, horseback riding, fly fishing, hiking, mountain biking, Spa, & legendary 5 star service! A Colorado vacation destination sure to please. Choose between a wide variety of accommodations, including condos, lodge rooms, log cottages or camping sites. Overlooking Fall River, take your pick from 10 unique cabins with fireplaces and kitchens, just a few minutes from Rocky Mountain National Park. Beautiful cottages on the Big Thompson River. Walk to Estes Park shops, but go fishing outside your door! Full kitchens, free wireless Internet. Relax in your luxury suite with fireplace and private balcony in the heart of the Rockies. Numerous and elegant amenities. Scenic wonders surround you. Within a lovely forested setting, these cottages offer a guest a wonderful Rocky Mountain vacation spot. Charcoal grills, patios, wireless Internet. Listen to the pleasant sounds of the rushing river right outside your door. Choose from a wide selection of cabins, each with varying amenities. On this Llama Ranch overlooking Mary's Lake a vacation becomes an adventure! You can stay in the main house, condo unit or bunkroom. Great amenities! These one, two and three-bedroom cottages are nestled among the pines on the riverbank. Fully equipped kitchens. Close to Rocky Mountain National Park. This family-friendly lodge is close to town, but still provides up-close views of the wildlife wandering through. Unique cabins or rooms, cable TV, hot tubs. A gorgeous mountain retreat where you can truly escape to the wilderness. Stay in the lodge or a rustic cabin with a stone fireplace. Have a picnic by the crystal clear Big Thompson River running through our 15 acre property. Relax in your cottage between Rocky Mountain adventures. Close to outdoor fun! A wide choice of accommodations and amenities are available for you here. Make your Rocky Mountain National Park vacation the best it can be! This picturesque resort provides stunning views, deluxe spa suites and cabins as well as outdoor pool, recreation room and hot tubs for your pleasure. The perfect Colorado dude ranch vacation! Go on a cattle drive, overnight pack trip or take horseback riding lessons. Groups are welcome! On the border of Rocky Mountain National Park, surrounded by the forests and a rushing river. Riverfront suites and cottages designed to relax and refresh. Bordered by the Big Thompson River, this ranch boasts great trout fishing. 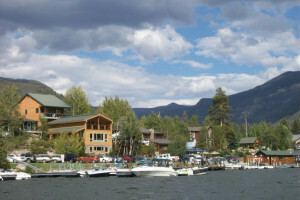 These Estes Park accommodations include cabins, lodges and full-hookup RV sites. Located one mile from Rocky Mountain National Park, Wildwood Cabins features cozy log cabins with full kitchens and baths.